Dancheng Boxin Biology Technology Co., Ltd. was established in 2008, covering an area of 23,000 square meters, with the current annual output of 30,000 tons, the current domestic production of advanced technology, world-class spray drying equipment, and precision testing equipment, and specializing in the production of non-dairy creamer. Thecompany integrates product development, production and sales. Our products is widely used in the production of coffee, milk-tea, dairy products, solid beverage, liquid beverages, cold drinks, baked goods, candy, chocolate, jelly, condiments, and the roasted seeds and nuts, and so on. We can adjust the color, the fragrance, and the fat and protein content of the non-dairy creamer to suffice customers from all over the world. We have an owned power plant and a syrup enterprise to the national top five, which assured us to be the number one in non-dairy creamer production area by advantages to provide high quality and low price. There are a number of Dutch senior non-dairy creamer industry experts as technical advisers in our company, which formed a strong technical support. The company believes that the quality is the life; the credit standing is the fundamental. The Quality Inspection Center is equipped with first-class precision testing instruments to control the product quality strictly from the choosing of the raw material to the producing process under the whole scientific managing system. 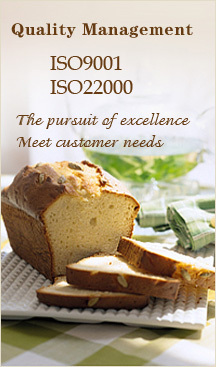 With advanced technology and mature technology and standardized management, good quality of the products is ensured. The company has developed dozens of different kinds of non-dairy creamer for different products to provide best products and services for many domestic well-known franchisers and food products factories with sales network throughout the country. The company has passed the standard of quality management system certification of ISO9001 and the HACCP food safety management system certification of ISO22000, and achieved import and export operation rights. The company will continue to follow the Business purpose of " Pursuit of excellence, to meet customer demand." and keep the advantages of the product in exchange for the interest points of different customers and provide high quality and perfect after-sales service to win the trust of customers and seize the market.